Morten is set to appear at EVS 24 – The 24th International Battery, Hybrid & Fuel Cell Electric Vehicle Symposium and Exhibition, which is being held in Stavanger from 13 – 16 May. He will be performing a few songs live at the Stavanger Forum conference centre on May 14th. According to the program on the event’s website, a ten-minute performance has been scheduled between 10:30-10:40. EVS 24 is a world congress and exhibition for electric, hybrid and fuel cell vehicles, with participants from 40 countries. Among the celebrities attending are Crown Prince Haakon Magnus of Norway and Prince Albert of Monaco. Harald Røstvik, who is the chairman of the organising committee, is a good friend of Morten and they have worked together on renewable energy projects in the past. In other news, it has been confirmed that Morten and his girlfriend Inez will be contestants on the UK game show All Star Mr & Mrs, which airs on ITV1. The show was taped on 25 April, but the exact air date is not yet known. The upcoming concert dates in Germany and Norway are revealed in an interview with Magne and Morten in today’s paper edition of VG. And the album title will be the same as the single: Foot Of The Mountain. Read all the details plus Magne and Morten’s refreshing take on Norwegian journalists in a translation of the interview here. It only took a few hours from a-ha had finished their new single, until it had been sent to radio stations across Europe. The band is now planning a new album and a big concert in Oslo. 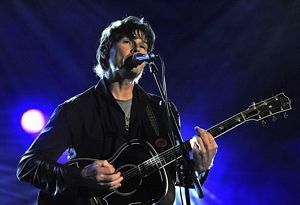 On Thursday night a-ha were satisfied with a version of the new song “Foot Of The Mountain”. On Friday morning Harald Wiik brought the song to the Universal office – who liked the song so much that they decided to send it out as a single immediately. On Friday afternoon the song premiered on Norwegian radio – and was at the same time sent out to radio stations across the whole of Europe. “This is the right way of doing it in 2009. There was demand for a new a-ha single from radio stations all over Europe. That’s why we decided to distribute it immediately“, a-ha manager Harald Wiik says. The quick release came as a surprise to many people, including Wiik himself, who didn’t have more details about the new album ready for publication when the song was distributed yesterday. “The name of the album has not been decided yet, but we’re assuming that it will be released on 19 June“, Wiik says. The album will be released simultaneously in more than 20 European countries. During the autumn, they are planning several big concerts in Norway. “We have had many offers to do concerts in Norway, and they will be confirmed within the next week. There will be concerts in Oslo sometime in October/November“, Harald Wiik says. In a surprising move, a-ha and Universal Music decided to release the first single from the new album to radio stations in Norway today. 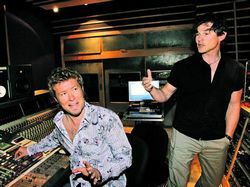 “They are currently in the studio, and the single was finished last night“, a-ha manager Harald Wiik tells Dagbladet. “We have to turn around quickly, that’s how it’s become in this business“. “We took a decision very quickly, and saw no reason to wait“, he adds to Bergens Tidende. “Foot Of The Mountain” was written by Magne and Paul, and is basically Magne’s solo song “The Longest Night” from 2008 with a new chorus. It’s been produced by Roland Spremberg, who co-produced Minor Earth | Major Sky back in 2000. The mixing was done by Steve Osborne at Real World Studios and it was mastered at Metropolis in London. 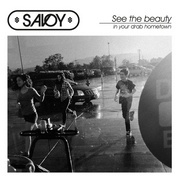 “The single will be available to buy on either 4 May or 11 May, I think. And the new album is set to be released on 22 June“, Wiik says. 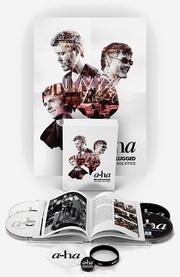 a-ha will continue to work on the new album, using studios in Oslo, Stockholm og New York. 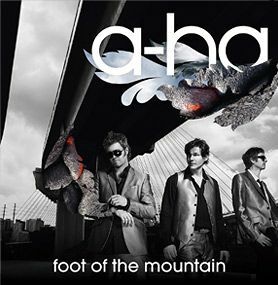 The press release is available on a-ha.com, and “Foot Of The Mountain” can be heard here. – The first single is not one of the three songs that have been performed live. But the song title is yet to be confirmed. Info about the radio premiere will hopefully follow soon. -The German tour dates for October have now been set, and will be announced at the beginning of May.